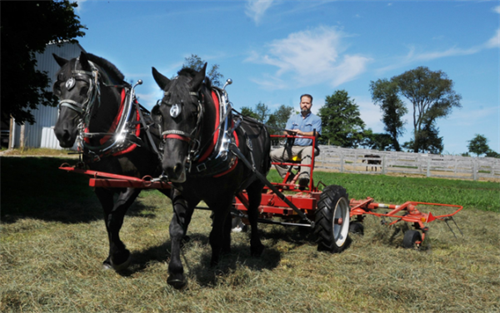 Amethyst Farm (named for the Amethyst Brook that runs through it), is an increasingly horse- and solar-powered, historic, diversified, family farm on APR land in the center of Amherst MA. We strive to go beyond organic, incorporating elements of permaculture, regenerative agriculture, low- and no-till cropping, animal power, re-localization, and myriad sustainability practices, all in service to our environment, our people, and our community. We offer a complete equine facility, CSA vegetable shares, horse-drawn wagon/sleigh rides, Nigerian dwarf goats, alpaca fiber, and farm stays. As hands-on experimentalists at heart, we always have a number of side “projects” going on too. Come and connect!